When planning your next corporate event, you want to do everything in your power to ensure that it is a success. One of the best ways to take your event to the next level is to hire a professional emcee. As the host and facilitator of the event, an emcee can make a significant impact on the overall vibe as well as the hour-by-hour runnings of the show. 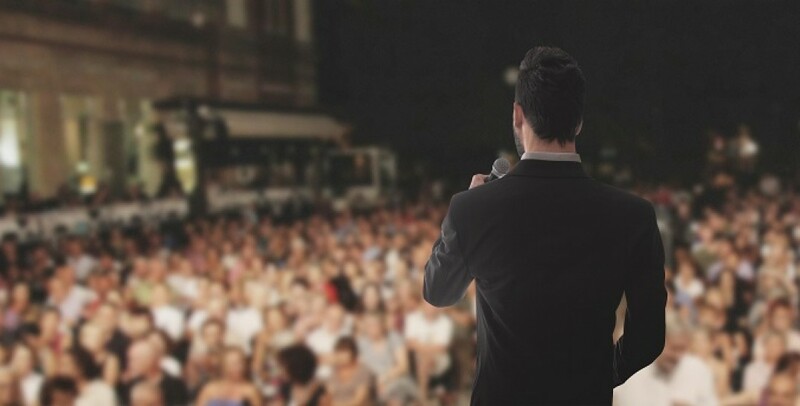 To help you put on the most celebrated event possible, read on for three tips to ensure you have the perfect emcee at your event. 1. Know what you want your emcee to do. Generally, an emcee's responsibilities include representing the event, keeping the event on schedule, introducing the speakers, energizing the audience, and tying all the elements of the day together. A successful emcee will be able to deliver on all of these critical areas. Additionally, there is a wide variety of emcees on the market who specialize in an abundance of different things. For example, some operate as stand-up comedians while others are more skilled at facilitating business workshops or motivational speeches. Perhaps you want someone with professional TV experience or with a celebrity background. In other words, whatever you want your emcee to do and whoever you want them to be, you can find them as long as you know what you are looking for. 2. Ask around for emcee recommendations. If you don't already have an emcee in mind, or if you are looking to step up your game and hire a professional event presenter, then your first step should be to ask around your network for any recommendations or leads. If you have recently attended an event with an emcee that you enjoyed, reach out to the firm to inquire about their contact details. Additionally, you can contact a talent agency or a speakers bureau as most professional emcees are represented by one of these. Scanning the web for hosts who have previously hosted events in your niche is another way to find the perfect one for you. When you are looking for an emcee, keep in mind your company's culture and the tone of your event so that you can find one that is appropriate. Once you have found some potential emcees, opt to organize an in-person or over-the-phone meeting to discuss logistics. At this point, one of the most significant considerations you are going to have to make concerns the budget. The price of an emcee varies greatly depending on location and experience. During budget negotiations, make sure you are being clear about the number of hours or days that the emcee will be required to be on-site. 3. Communicate thoroughly with your emcee. For the event to go as smoothly as possible, it is essential that you are thoroughly communicating with your emcee and are providing them with enough guidance about what you desire. After all, no matter how professional they are, they aren't mind readers. Therefore, for you to have the event you have dreamed of, you need to be helping them prepare as much as possible. Information that is necessary for you to share with them includes (but is by no means limited to) comprehensive descriptions about the audience, such as the number of guests attending and their age group, as well as the industry or fields they are coming from and the professional background of the audience. This information will help your emcee prepare appropriately for the event. As one of the primary responsibilities of the emcee is to ensure everything remains on schedule, they need to be privy to the timetable of the day. Therefore, make sure you are sharing with them an up-to-date event program so that they know when segments are supposed to start and end. Additionally, as they will be introducing your speakers and guests of honor, the emcee needs to know all the essential names in advance so that they can ensure they can pronounce the names correctly. Do you usually use emcees during your events? What tips and tricks do you have for ensuring you are able to find the perfect one for you? How do you utilize them to make sure you have a memorable and smooth-running event? Let us know in the comments below! Hisham Wyne is an internationally recognised MC, broadcaster, presenter and moderator who helps the world's best-known brands create memorable occasions. He regularly hosts conferences, panel sessions, gala dinners and award ceremonies for some of the world's best brands. With 150+ events under his belt, Hisham is the professional speaker that brands and agencies turn to when wanting to interview, engage and entertain government VVIPs and Hollywood celebrities.